Soft thermoplastic olefins (TPOs) consisting of 70 wt.% ethylene–propylene rubber (EPR) and 30 wt.% polypropylene (PP) were subjected to a standardized scratch test (ASTM D7027-05) at three different testing speeds: 1, 10, and 100 mm/s. Two TPO systems were considered for the study: System A having 52 wt.% ethylene in the EPR and System B containing 67 wt.% ethylene. Raising the ethylene content in EPR not only increased the overall blend crystallinity, but also altered the internal morphology of the material. Scratch testing rate appears to impart a significant effect on the scratch behavior of the material. The scratch damage mechanisms and morphology in the above model systems are described and correlated with tensile behavior and mechanical properties to establish a structure–property relationship. Issues regarding scratch properties of the soft TPOs are discussed. 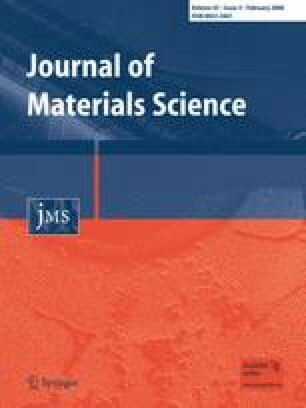 The authors would like to recognize the financial support of the Texas A&M University Scratch Behavior of Polymers Consortium (https://doi.org/www.ptc.tamu.edu). Thanks also go to Sumitomo Chemical for supplying material and evaluation of property data. Microscopy work at Texas A&M University was conducted in the Microscopy and Imaging Center.